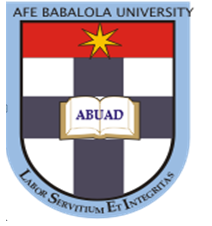 Afe Babalola University, Ado-Ekiti (ABUAD) Undergraduate [Post-UTME, Direct Entry, Transfer and Change of Institution Candidates] 1st, 2nd, 3rd Round Admission Screening Dates, Centers, Time for 2018/2019 Academic Session. Authorities of the The Afe Babalola University, Ado-Ekiti (ABUAD) has released the admission exercise schedule for all prospective candidates for the 2018/2019 academic session. FIRST BATCH Candidates are hereby informed that the admission screening exercise is scheduled to commence on 30th June, 2018 at ABUAD Designated centers. SECOND BATCH Candidates are entitled to attend the screening exercise on Saturday, 4th August 2018. by 10.00am. THIRD BATCH Candidates are entitled to attend the screening exercise on Saturday, 15th September, 2018. by 10.00am. 4. PORT HARCOURT: Chief Elechi Amadi Polytechnic, (Former Rivers State College of Arts & Science), Rumuola, Road, Port Harcourt. 8. AKWA-IBOM: Bright Future College, Osongama Estate, Off Edet Akpan Avenue (Four Lane), Uyo, Akwa – Ibom State. 9. KADUNA: Divine Progress School, No 47, Mayere Road, Opposite Dullah Filling Station, Narayi High Court, Barnawa, Kaduna. 10. KANO: Yandutse College Annex, No 17 Yandutse Road, Audu Bako Way by State Road, Kano.